Bath Body Lotion and Soap: Old Age ? For those ugly deep wrinkles, nothing seems to work better than Perfectionist [ CP +] Targeted Deep Wrinkle Filler by Estee Lauder , a concentrated treatment that fills, smoothes and even reduces the appearance of deepest wrinkles. It claims to instantly reduce crow`s feet, laugh lines and also frown lines. It helps keeping lipstick in place for withered lips. Skin amplifies its natural production of collagen for a younger look. 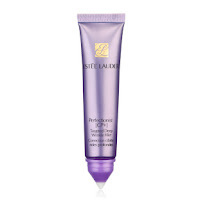 Compare more Estee Lauder creams. A Non-Drying Body Cleanser, Finally!